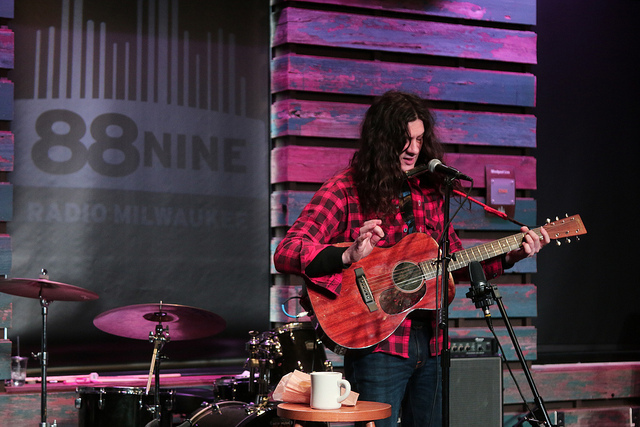 Kurt Vile‘s newest is called “Bottle It In” and before his show at Turner Hall Ballroom on Friday, December 21, he stopped by the station to play some songs from the album for an exclusive Studio Milwaukee session. 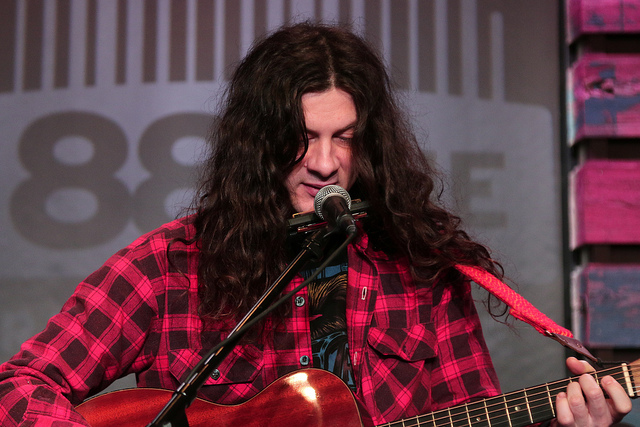 In a packed but silent studio, Kurt Vile started his set by strumming and playing harmonica for a slightly more bare bones version of “Loading Zones,” the lead track off the new album. 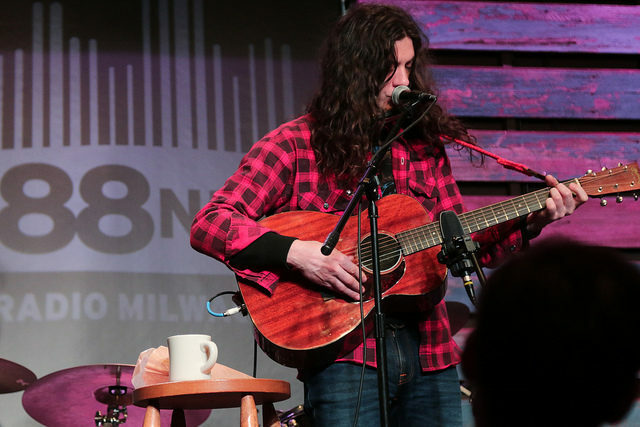 Next, as the talented guitarist we know and love him to be, he picked away for almost 10 minutes for “Bassackwards.” There aren’t many artists who could keep our attention with an acoustic song this long, but in Kurt’s hands, it was captivating. 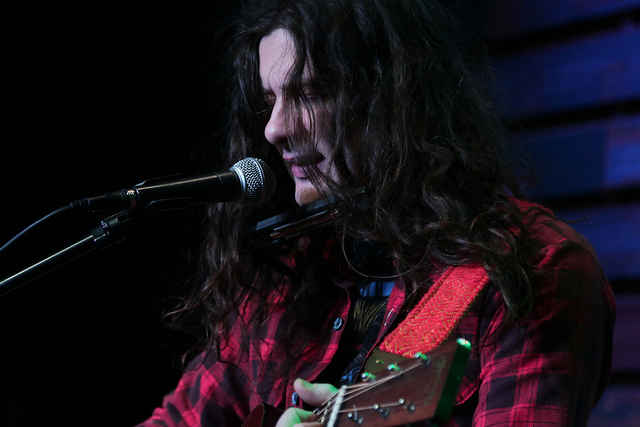 He took us on a meditative journey where we followed each lyric and every note, feeling the carefree attitude of the song and the album. 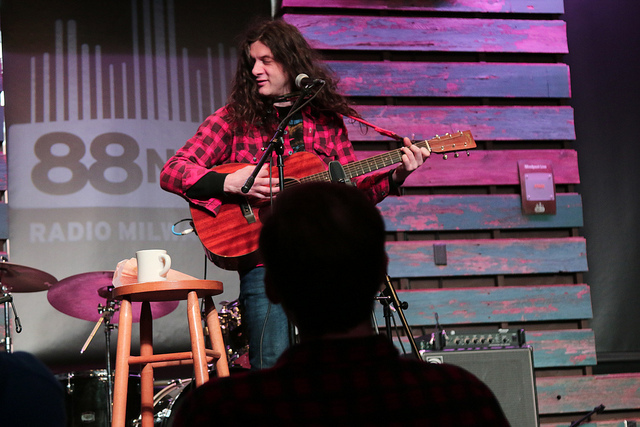 During the interview, he talked about his first instrument, brewing beer, the story behind the Planet Fitness shirt he’s wearing in his album art and an upcoming Christmas gift he’s looking forward to—some time off from the road.